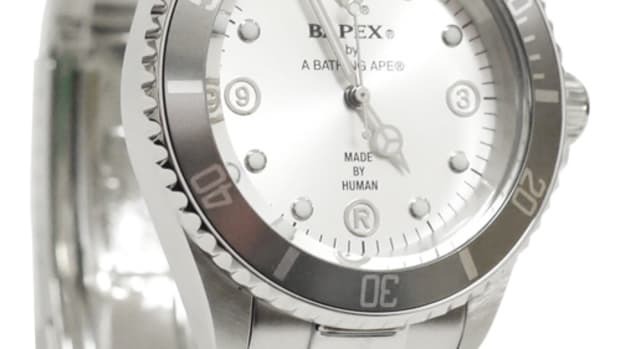 Tomorrow sees A BATHING APE releasing a new watch style, the 1st Camo Type 1 Bapex, featuring a stainless steel case and matching band in three finishes: black, gold and silver. 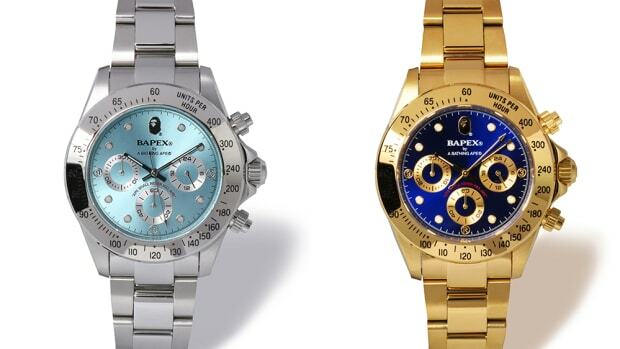 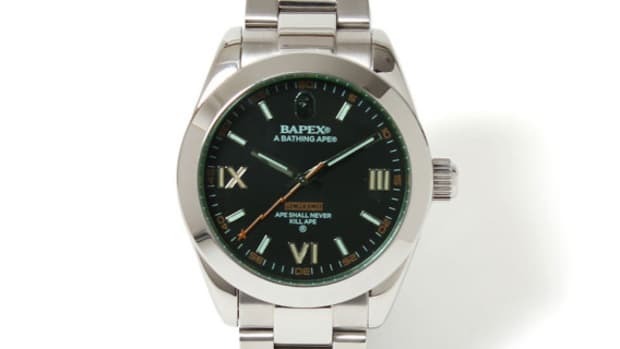 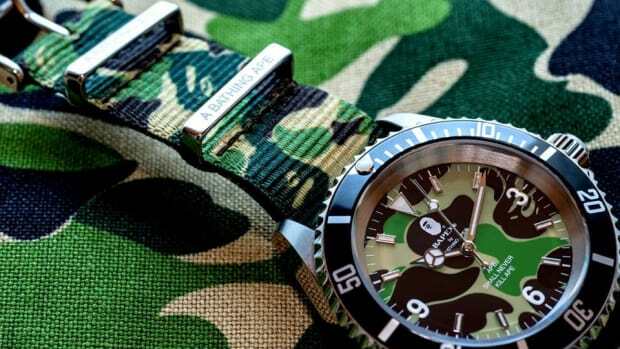 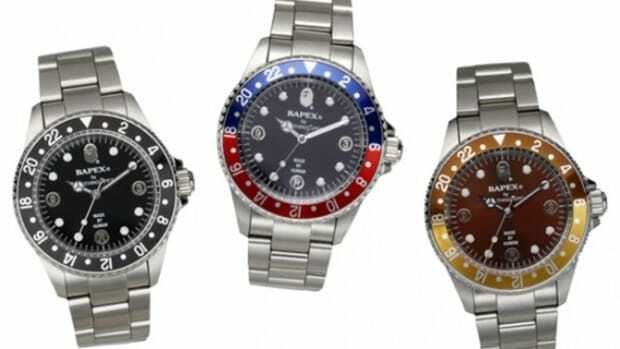 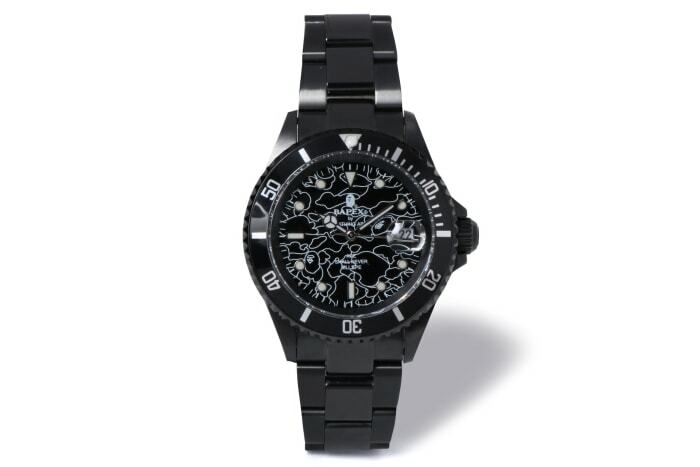 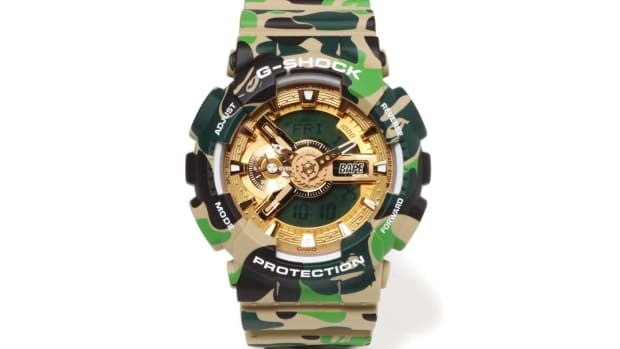 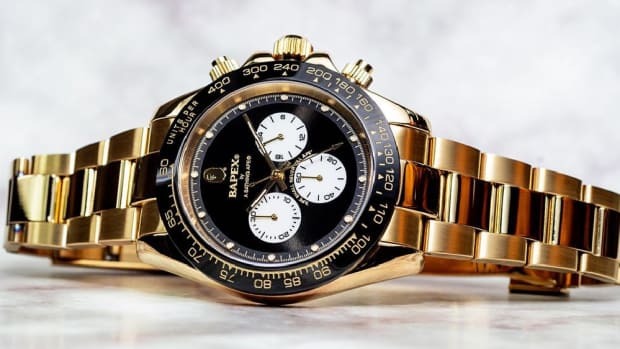 Shared details include a black bezel, mineral glass and BAPE&apos;s 1st camo pattern on the tonal dial, as well as a 21-jewel self-winding movement made in Japan. 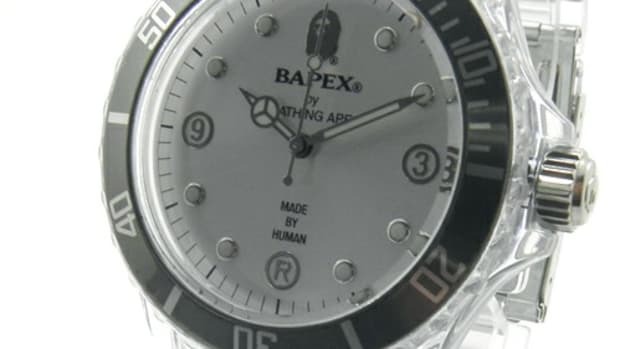 A quick date feature and glow-in-the-dark indices round out the details. 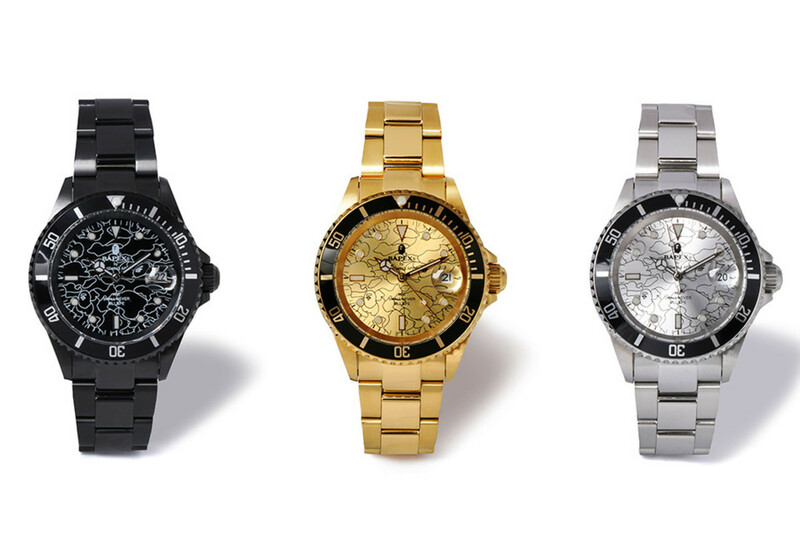 The black and gold options retail for $669, the silver for $629, and all three will be available starting tomorrow at all BAPE stores and bape.com.